Phoney War , or drôle de guerre ("strange war"), the period of little military activity between the defeat of Poland in October 1939 and April 1940. The Anglo-French Supreme War Council (SWC) was established to oversee joint military strategy at the start of the Second World War. Most of its deliberations took place during the period of the Phoney War, with its first meeting at Abbeville on 12 September 1939. 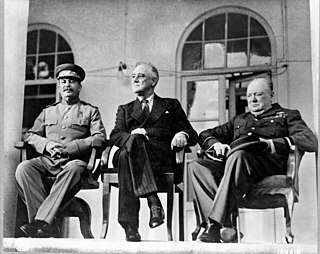 The final three sessions were held in France during the German Blitzkrieg of May and June 1940. The Battle of France , in which the German victory led to the fall of the Third Republic in May and June 1940. 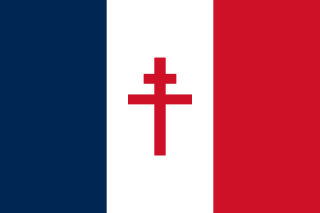 Les Forces Navales Françaises Libres were the naval arm of the Free French Forces during the Second World War. They were commanded by Admiral Émile Muselier. The Vichy French Air Force was the aerial branch of the armed forces of Vichy France - the government of France that collaborated with the Axis powers following the defeat of France by Germany in 1940. The National Council of the Resistance, in French Conseil National de la Résistance (CNR), was the body that directed and coordinated the different movements of the French Resistance - the press, trade unions, and members of political parties hostile to the Vichy regime, starting from mid-1943. The Alpine Line or Little Maginot Line was the component of the Maginot Line that defended the southeastern portion of France. In contrast to the main line in the northeastern portion of France, the Alpine Line traversed a mountainous region of the Maritime Alps, the Cottian Alps and the Graian Alps, with relatively few passes suitable for invading armies. Access was difficult for construction and for the Alpine Line garrisons. Consequently, fortifications were smaller in scale than the fortifications of the main Line. The Alpine Line mounted few anti-tank weapons, since the terrain was mostly unsuitable for the use of tanks. 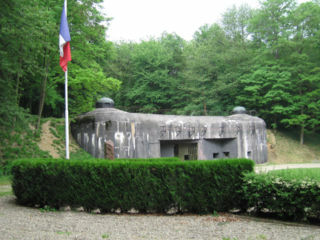 Ouvrage Rimplas was the first Maginot fortification to be completed on any portion of the Maginot Line, in 1928. The Alpine Line was unsuccessfully attacked by Italian forces during the Italian invasion of France in 1940. Following World War II, some of the larger positions of the Alpine Line were retained in use through the Cold War. Operation Torch was an Anglo–American invasion of French North Africa during the Second World War. It was aimed at reducing pressure on Allied forces in Egypt, and enabling an invasion of Southern Europe. It also provided the ‘second front’ which the Soviet Union had been requesting since it was invaded by the Germans in 1941. The region was dominated by the Vichy French, officially Nazi-controlled, but with mixed loyalties, and reports indicated that they might support the Allied initiative. The American General Dwight D. Eisenhower, commanding the operation, planned a 3-pronged attack, aimed at Casablanca (Western), Oran (Center) and Algiers (Eastern), in advance of a rapid move on Tunis. 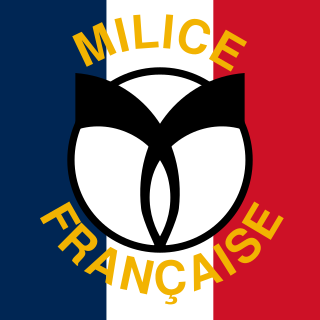 The Milice française, generally called the Milice, was a political paramilitary organization created on 30 January 1943 by the Vichy regime to help fight against the French Resistance during World War II. The Milice's formal head was Prime Minister Pierre Laval, although its Chief of operations and de facto leader was Secretary General Joseph Darnand. It participated in summary executions and assassinations, helping to round up Jews and résistants in France for deportation. 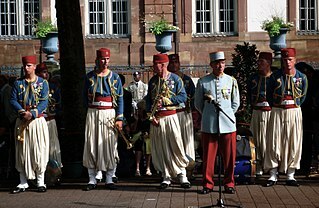 It was the successor to Joseph Darnand's Service d'ordre légionnaire (SOL) militia. The Milice was the Vichy regime's most extreme manifestation of fascism. 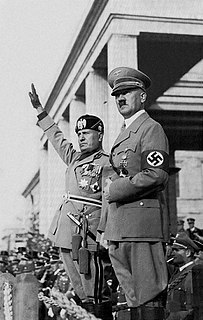 Ultimately, Darnand envisaged the Milice as a fascist single party political movement for the French state. The Commemorative medal for voluntary service in Free France was a French commemorative war medal established by decree on 4 April 1946 on the 1945 proposition of general Edgard de Larminat to the Minister to the armies.